Each year thousands of people travel from all over the country to visit Potters Yard for a shopping experience unlike any other in New England. 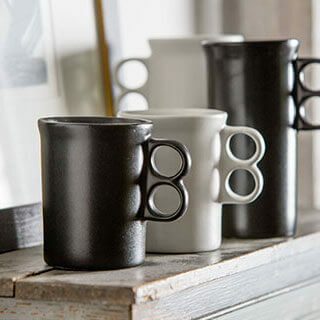 Many first-time shoppers become life-long collectors of Bennington pottery, stopping in each year to add a few new pieces of stoneware pottery to their bakeware, dinnerware, and serving collections. What makes this store so unique is not just the stoneware pottery, country home decor items, and Vermont specialty foods sold inside, but the history behind Bennington pottery itself. 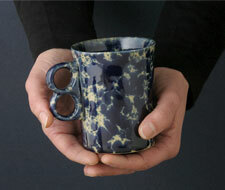 One of the oldest crafts known to mankind is also what has helped put Bennington, Vermont and Potters Yard on the map. Pottery-making has been part of the area's economy since the Revolutionary War when in 1785 a former Revolutionary War soldier, Capt. 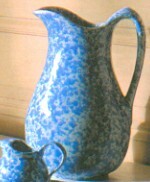 John Norton, began producing "redware" glazed pottery. Bennington was a convenient location for producing redware pottery because of the close proximity to local clay deposits, as well as deposits along the Hudson River. Bennington also had an abundant supply of waterpower from local streams, which was necessary to power the machinery used at the time. Around 1804 stoneware pottery was introduced, which was more sturdy than redware pottery, and therefore more suitable for everyday use. Through the 19th Century Norton Pottery and another firm, the U.S. Pottery Company, achieved considerable success employing hundreds of people and even representing the nation's pottery industry at the 1853 Crystal Palace Exposition in New York. Unfortunately both Norton Pottery and U.S. Pottery failed to keep costs down and eventually went out of business by 1858. Even though the emerging 19th Century middle class was seeking both decorative and practical pottery items for their homes, the pottery business in Bennington began to decline significantly, and between 1911 and 1948 had nearly died out. It was at this time that a potter by the name of David Gil began making ceramics as part of an artists' cooperative. Gil eventually opened Bennington Potters in a small unheated barn in downtown Bennington. In 1964 Bennington Potters expanded into a former home and business supply building located on County Street, where it is still operating today. This rustic 1900s building was once the Home Depot of Bennington, located just 4 blocks from the old Bennington Freight Yard. This location enabled prior owner Henry W. Meyers to off-load coal, firewood, ice, lumber and farm equipment for home and business delivery. Over the years, under the leadership of Gil, this former supply building transformed itself into an active craft pottery that today is one of southern Vermont's most popular destinations. Bennington Potters is also referred to as Potters' Yard.